Today the Pulse Contemporary Art Fair (which I hear is asskicking) announced that Alyssa Dennis (Kesting/Ray, New York), Brookhart Jonquil (Dorsch Gallery, Miami), and Larissa Nowicki (Man & Eve, London, UK) had been selected as the finalists for the Miami 2012 PULSE Prize. Selected from the thirteen exhibitors in the solo-artist IMPULSE section of the fair by Director Cornell DeWitt and PULSE Committee members Stefan Roepke (Galerie Stefan Roepke, Cologne / Madrid), Mark Moore (Mark Moore Gallery, Culver City, CA) and Thomas Von Lintel, (Von Lintel Gallery, New York, NY) the three artists "embody the exciting and ambitious works for which the IMPULSE Section was founded." 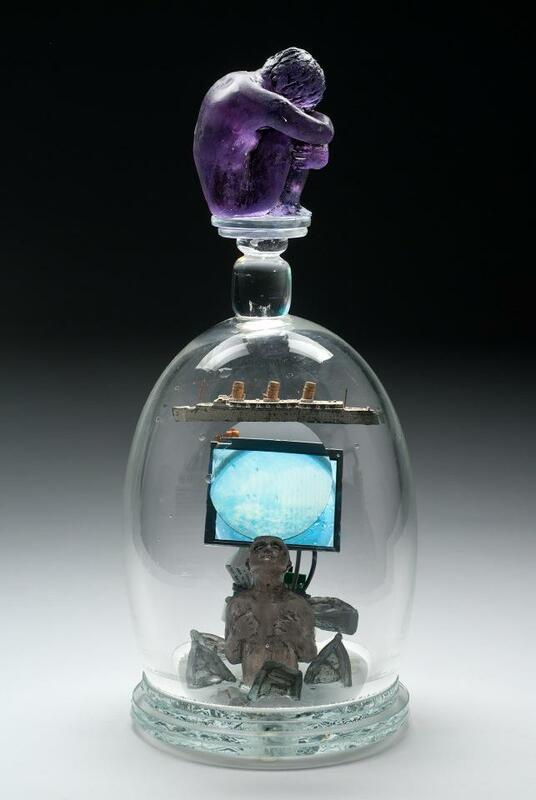 DCAN sends envious congrats to Baltimore artist Alyssa Dennis! She "creates colored graphite renderings of partial architectural elevations blended with animals and assorted objects, and is a frequent collaborator with noted artist Swoon. A resident of Baltimore, Maryland, she has exhibited extensively throughout the United States and is the recipient of numerous awards, including three selections by the Maryland State Council in the Arts Fellowship." Today Aqua was humming with a constant flow of visitors. I got there at 11AM as usual, dropped $4.50 for a double cappuccino, tried to catch up with email (over 500 behind - most of them waaay old) and stood by to hawk artwork. "quite pleased with our experience at SCOPE thus far. Foot traffic picked up yesterday and has been increasingly heavy throughout today, which is great to see. We've also had lots of luck with the collector's edition video and Avery's gotten a bit of press (see: here, and here. In addition to the articles above, Avery and the gallery were interviewed for a new website about performance art, which is launching early next year: performanceartist.com. Several museum people and galleries have generally expressed interest Avery’s work, which has been quite exciting as well. Lastly, at SCOPE, I’ve been struck by how strong the DC galleries are… I think they’ve really “brought it” this year and we’re s happy to be a part of the DC gallery group!" Back to Aqua, today was an excellent day as we started the day with sales of several individual drawings of mine, followed by sales of three of my new series of drawings with embedded videos (Obama Agonistes, Ave Frida and Batman & Robin) and one of Tim Tate's self contained video sculptures. This was by far the best day so far, and tomorrow, early in the morning, before I head back to Aqua, I got to deliver and install all four pieces.